C DRAGON, pendant, 3.5" high. 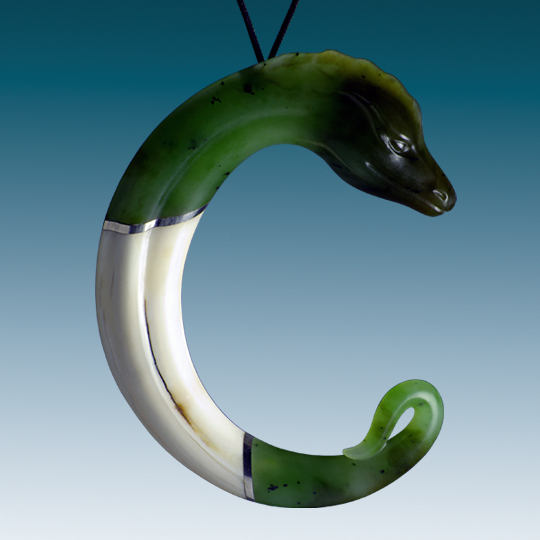 The Zhūlóng, or pig-dragon, is a type of jade artifact from neolithic China. They were made in the shape of a letter C, so we call them C-Dragons in the West. 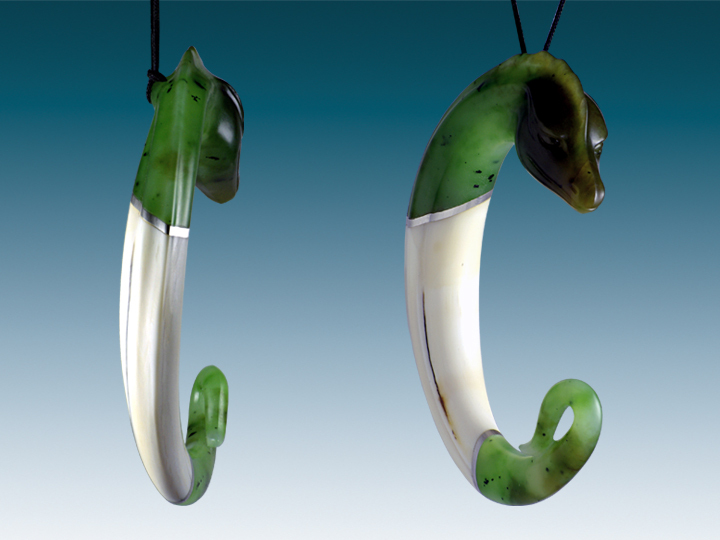 This is my interpretation of a C-Dragon, combining Siberian nephrite with silver and wild boar tusk.